The project’s approval would not have been possible without an active proponent and supportive community. As readers will know, Yes 2 Renewables were BEAM-Environment Group‘s number one supporter as they went in to bat for the wind farm (an archive of our collaboration can be found here). Linda and Leigh at a joint BEAM/Y2R listening post in Avenel. 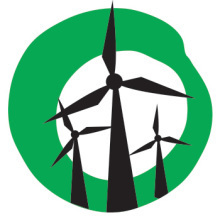 BEAM-Mitchell Environment Group took a leadership role after known anti-wind farm groups came to town with a fear campaign about wind farms and health. They responded with a joint BEAM/Y2R ‘mythbusting flyer‘ and positive Energy Futures Forum event. Anti-wind farm groups dogged the Cherry Tree Range wind farm proposal from the start. They stacked a town hall meeting and planning submissions. They also hijacked the legal proceedings, slowing down the decision making process at every opportunity and inflating the costs for the proponent and ratepayers. VCAT’s decision once again proves wind farms are clean and safe. The planning body has rejected claims that wind farms make people sick. Generate up to $80,000 for a community fund each year. Contribute $76,000 worth of rates to the Mitchell Shire per annum. Inject $1.2 million worth of flow on economic benefit to the local economy. Provide $250,000 worth of steady income for local wind farmers. *Community pic courtesy of the Seymour Telegraph. Keep fighting you good team. The forces of darkness -Waubra Foundation; politiicans beholden to the fossil fuel companies;. Guardians of the Landscape, etc – must not be allowed to prevail. just like the tobacco industry keep fighting til the end. Difference being that the tobacco industry knew back as far as 1957 that tobacco smoking causes multiple detrimental health effects whereas wind energy is safe and does not cause any ill-health effects. And the wind industry has known since 1987 from the nasa report that turbines affect health.But that report dosent exit or its not correct is it blair. Come on Chris, where is the link, any link to a reputable source supporting your claim. I can’t comment on whether or not the report is correct because I haven’t seen it, assuming it exists in the first place. Why do people bother making claims they cannot support with even rudimentary evidence? google the Kelly report windpower conference 87.Then you can tell me why its all wrong!!!! The veracity of the Kelly paper is not the issue, it’s the paper’s relevance that matters. Anti-wind farm campaigners claim the Kelly paper supports their assertions about wind turbine infrasound despite the fact the technology investigated in the report was a prototype and bares little resemblance to modern wind turbine technology. It’s like using research about typewrites to bag a modern laptop computer–a bit daft. I recommend reading this Renew Economy article by Ketan Joshi for more information. Couldn’t help myself. Below is what I just posted on the “Stop These Things” site, a site dedicated to all things anti wind turbines. Curiously enough, this site purports to be a “grass roots” collective of “concerned citizens”. It reeks of AstroTurf. No contact details, no names of the site organizers, dodgy as. Big Fossil? You betcha. And they don’t post your comments I don’t blame them you have some real issues up top seek help. So you support cowardice do you Chris? When will you guys wake up and realise your silly comments are a part of the reason why nobody takes you seriously? You don’t produce evidence, you don’t attempt to be objective, you misrepresent reports – as demonstrated above and you wonder why you are regarded as being on the idiot fringe. Stop These Things is just an echo chamber for cowards. They don’t allow comments from anybody who disagrees with them. Yet they rant about fairness, honesty, openness etc. It’s a joke website for some very unfunny people to whine about phantoms of their own making. It’s a good website if you want many examples of hypocrisy, double standards and blatant lies. cant help wondering if you are compensating for something small Blair.The only reason you guys let people post on here is so you can try and disgrace them but you only make fools of yourselves with your personal rubbish. Good one Chris, thanks for demonstrating the level of your thinking to one and all. In one comment you have removed any doubt that you are incapable of adult discussion but are a self appointed expert at projection. If you are fool enough to post inane comments, distortions of fact and anti-wind mythology on a blog, you really shouldn’t be surprised when people highlight your childishness. Previous Previous post: Do Wind Farms Really Kill Birds?